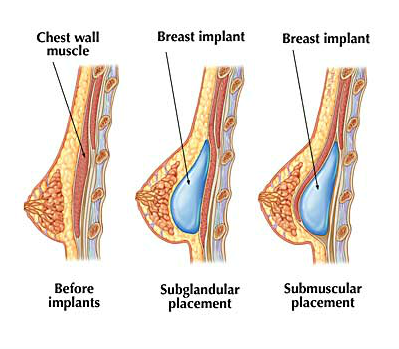 Augmentation mammaplasty or breast augmentation is the surgical implantation of prosthetic breast implants for cosmetic or reconstructive purposes. Reasons for breast augmentation include increasing self-esteem, improving one’s appearance in clothing, achieving more balance and harmony between the upper and lower body, correction of breast asymmetry, and reconstructing the breast after removal due to cancer. The most popular form of breast augmentation enhances the size and shape of the breasts with implants. What Is the Best Breast Implant Size for Me? During your consultation, Dr. Zemmel will discuss with you your overall size goals for your breast augmentation. Many factors contribute to your overall size and shape. Our plastic surgeon will take a number of measurements of your breasts and then show you a range of sizes that will meet your goals. You will then try on a form-fitting shirt with the implants and examine your new shape. Keep in mind this process is to get you comfortable with your new look and make sure you are satisfied with the size and shape. Dr. Zemmel will encourage you to try on a range of implant sizes, so you may see the differences in size and shape. This will allow you to rule in and rule out certain sizes. The majority of women (around 80%) seeking breast augmentation desire a C cup as their final size. However, Dr. Zemmel sees patients desiring a wide range of final results. Dr. Zemmel treats patients who have a wide range of body types, shapes, and breast sizes. Dr. Zemmel is comfortable performing conservative as well as a large breast augmentation. Women frequently desire a B cup to a DD as their final size. Breast implant sizes are not measured in cup size, but rather by volume measured in milliliters (ccs). In fact, cup size is a relatively inaccurate measure of breast size as there are a number of different methods of measuring breast and chest circumference. There is no industry standard for fabricating bras therefore each bra is slightly different. If you have an average height and weight and have a beginning breast size of an A or B cup, you will experience a 1 cup size increase for each 200cc of implant volume added. If you have a smaller or larger build, then this number will vary accordingly. Dr. Zemmel’s goal is to give his patients the balance and harmony they desire. Dr. Zemmel believes that each woman has a range of sizes that will fit comfortably and naturally on her body type. Within that range you can be more conservative or more liberal depending on your preferences. Dr. Zemmel prefers a natural, balanced look for his patients and does not believe in an “overdone” or imbalanced look. Which Breast Implant Placement Looks the Most Natural? Both saline and silicone breast implants are available for implantation. Several different options exist for the type of incision used for entry into the breast. The implants are placed beneath the skin and breast and finally rest either beneath or on top the pectoralis major muscle. There are advantages and disadvantages of each approach. During your consultation, Dr. Zemmel will interview you to determine your goals for surgery. A full history and physical will be performed to determine which breast implant placement technique is right for you. Placing a breast implant on top of the pectoralis muscle is called the subglandular approach. The advantage of placing the implant in this position is that recovery from surgery is somewhat easier and the lower portion of the breast is made fuller and rounder. The disadvantages include a greater chance of feeling (palpating) the implant more often, increased visibility of the implant, an increased risk of visible rippling, and an increased risk of capsular contracture, or scar tissue forming around the implant. The submuscular approach achieves implant placement by putting the implant beneath the pectoralis major muscle of the chest. The approach calls for elevation of the pectoralis muscle in surgery and creating a breast pocket directly on the rib cage. While the approach requires slightly more surgery than the older subglandular approach, most modern plastic surgeons place implants in this position because the benefits clearly outweigh the disadvantages. By placing implants submuscular, there is an additional tissue “padding” over the implant. This gives a number of beneficial effects including lessening the palpability of the implant, less risk of capsular contracture, lower risk of implant malposition. In recent years a newer hybrid approach has been advocated by many board-certified plastic surgeons including Dr. Zemmel. This newer approach places the implant partially beneath the pectoralis major muscle and partially beneath the breast tissue itself. Termed the “dual plane” approach, this procedure combines the advantages of both subglandular and submuscular breast implant placement. The upper one-half to one-third of the implant is covered by muscle, while the lower portion of the implant is beneath the breast tissue itself. This approach can be performed through a periareolar or inframammary incision but not through the transaxillary route. Improved texture and feel with silicone implants. This difference becomes more prevalent the thinner the patient. The more you have to “bury” the implant under, the less the difference between silicone and saline becomes. Lower rupture rate for silicone implants. The current data suggests a 1% rupture rate at 6 years for silicone and 1.8% per year for saline. Rupture of a saline implant becomes evident over several days’ time. Typically, when a saline implant ruptures, the implant develops a small fatigue fracture in the shell or the fill valve fails. Saline begins to leak, the implant deflates over one or two days, and the breast becomes smaller. 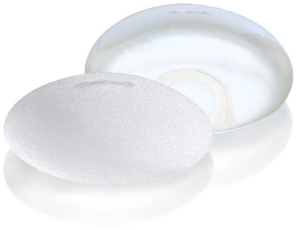 Silicone implants are relatively form stable and do not change shape. There is no leakage of gel from the implant as the gel is “cohesive.” Silicone implants are said to rupture silently. The FDA therefore recommends that women undergo an MRI of the breast 3 years after surgery and every other year thereafter to assess the integrity of a silicone implant. This study may or may not be covered by health insurance, so patients should expect this to be an out-of-pocket cost in the future. Silicone implants are somewhat more expensive than saline implants. Selecting a silicone versus a saline implant can be a complex question. The final decision depends on the shape of the breast, the quality of breast tissue, the distribution of breast tissue within the breast, the thickness of the tissues, the shape of the chest wall and rib cage, and most importantly, each woman’s preference. Dr. Zemmel will guide you through each step of the decision-making process. Ultimately, Dr. Zemmel recommends selecting an implant that you have the most confidence in and that gives you the greatest peace of mind. In addition to the traditional silicone implants, Dr. Zemmel offers the Natrelle® 410 shaped textured implant – also known as the “gummy bear” implant. This FDA-approved breast implant offers patients unique benefits as well as a lower rate of post-operative complications. It was created to make up for the shortcomings of previous implant options and has shown to provide enhanced results for the right candidates. Dr. Zemmel is one of few surgeons in the region who currently offers the Natrelle® 410 for cosmetic breast surgery. He underwent specialty training from Dr. Charles Randquist of Stockholm, Sweden, the plastic surgeon who is known for his advanced surgical expertise in creating beautiful results with the Natrelle® 410 implant. Following this hands-on learning, Dr. Zemmel has proudly offered his breast augmentation patients the additional option of the gummy bear implant, which holds specific advantages over other implants. The Natrelle® 410 is a highly cohesive (level III cohesivity), completely form-stable implant. This is possible due to the additional cross-linking in the silicone molecules, which causes the implant to have a firmer consistency. Since it is both form-stable and tear-dropped shape, the implant protects against a loss of upper pole fullness when in a vertical position and lowers the risk of rippling and rupture. Additionally, the textured surface of the gummy bear implant has shown to lower the rate of capsular contracture compared to that of smooth versions. The implant comes in 12 different models, which includes projections of low, moderate, full, and extra; heights of low, medium, and full; and customizable width and volume. Patients interested in gummy bear implants will be educated on what to expect from Natrelle® 410 to understand if the implants are the best option to help them achieve their desired outcome. If you prove to be a good candidate for the Natrelle® 410 implants, Dr. Zemmel will help you find the best model that can provide you with your goal results. Saline implants are made from a layered silicone rubber shell filled with sterile intravenous saline solution. Saline implants are manufactured without the saline fill. Dr. Zemmel places the implants deflated within the breast pocket and then inflates them once in the breast pocket. Saline implants have a fill range. This means each implant has a minimum and nominal fill volume. Dr. Zemmel believes filling saline implants to their maximum fill volume and in some cases slightly over-filling the implants gives a more natural result and reduces the risk of visible or palpable implant rippling. Dr. Zemmel also believes that maximum filling of an implant reduces the risk of “fold flaws” or wrinkling of an implant. Long term this is likely to reduce the risk of fatigue fractures forming, therefore reducing the risk of rupture. Dr. Zemmel believes proper filling of a saline implant is critical in obtaining an excellent cosmetic result and increases the longevity of the implant. 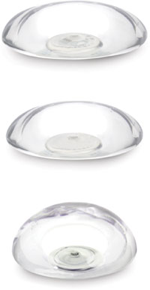 Breast implants are manufactured with two types of surface textures: smooth and textured. Textured implants were designed in response to the relatively high rate of capsular contracture with older generation implants. By creating a textured surface with very fine surface irregularities intentionally built in the surface, the implant designers believed this would redirect or reorient the scar tissue and prevent it from tightly contracting around the implant. While this helped in preventing capsular contracture, a number of other consequences were found to occur. The textured surface acts as “Velcro” between the implant and the bottom surface of the breast tissue. This increased the likelihood of visibility of the implant, rippling, and palpability of the implant beneath the surface of the breast. Dr. Zemmel also believes textured implants have a higher rupture rate than smooth surfaced implants. Most plastic surgeons including Dr. Zemmel believe textured implants have very limited application in modern breast augmentation surgery. The excellent performance profile of smooth round saline and silicone implants allows Dr. Zemmel to offer these implants exclusively to his patients. Smooth surfaced implants have no texturing. This allows a smooth inference between the implant and the breast tissue capsule. It allows the implant to glide easily and rotate through the breast pocket without the “Velcro” effect of texturing. Dr. Zemmel believes smooth round saline or smooth round silicone implants when placed in properly selected patients give the optimum results immediately and long term. Breast implants are manufactured in a number of shapes and sizes. Allergan® has three levels of forward implant projection for any given volume. They are called moderate profile, moderate plus profile, and high-profile breast implants. The profile a breast implant refers to is the amount of projection (forward height) for a given volume and diameter. Moderate profile implants are the flattest, moderate plus profile are medium height, and high-profile implants project the farthest for a given fill volume. During your consultation, Dr. Zemmel will select a range of implants that will fit your breasts and frame. You will try on a number of implants to approximate your final result. Trying on implants is an extremely important part of preparing for your breast augmentation. It allows Dr. Zemmel’s patients to gain a sense of what their final results will look like. Dr. Zemmel’s goal for your surgery is to give the most natural, proportional, and aesthetically pleasing result. Moderate and moderate plus profile implants are typically used in women who are taller with a slightly wider rib cage. For women with a more “petit” chest and smaller breasts who wish to enlarge 2 or 3 cup sizes, Dr. Zemmel often recommends a high-profile implant. Oftentimes, both a moderate plus or high-profile implant will work very well, and the final decision is based on the artistic preferences of both Dr. Zemmel and the individual patient. You will be given several opportunities to try on implants before surgery. This will allow you to confirm your selection of implant and proceed with surgery with confidence. Will My Breast Implants Also Provide a Lift? Breast augmentation is designed to enhance the size and shape of the breasts. In some cases, adding or restoring lost volume to the breasts can give the appearance of a slight lift, which results from improved projection and increased fullness. However, sagging or drooping of the breasts that results from significant excess skin will not be addressed with breast augmentation alone. Patients who primarily wish to elevate the position of the breasts to a more youthful position on the chest wall may be better suited for a breast lift. Frequently, patients choose to combine the surgeries in a breast lift with implants for a more comprehensive rejuvenation. The two procedures can be performed simultaneously and entail no additional recovery time. Some mothers choose to incorporate both of these procedures into a mommy makeover treatment plan. If a woman becomes pregnant after breast augmentation with implants, there should be no interference with her ability to breastfeed. Seeking out an experienced plastic surgeon can help ensure that the surgery does not interfere with the mammary glands that produce breast milk. There are certain incision types, such as inframammary or transaxillary incisions, that can be used to further reduce the risk of complications that may affect breastfeeding. Choosing to place the breast implant under the chest muscle (submuscular) may also be recommended for women who believe they may become pregnant in the future. Dr. Zemmel cautions patients that while pregnancy and nursing after breast augmentation with implants is considered safe, the results of the surgery may be compromised in the process. For women who experience unwanted breast changes following pregnancy and breastfeeding, Dr. Zemmel recommends breast revision surgery, which can effectively restore breast size and shape. There is no scheduled maintenance for either saline or silicone breast implants. You do not need to replace your implants unless there is a rupture. Breast implants are not lifetime devices, and you should expect to replace your breast implants at least one in your lifetime. Breast implants are like any other mechanical part of product you may purchase: they have an associated lifespan. Saline breast implants have a rupture rate of 1.8% per year, while silicone breast implants have a rupture rate of 1% at 6 years. The current available data suggest that silicone implants have a significantly lower rupture rate when compared to saline implants. The average replacement time for all patients undergoing breast augmentation is 15 years. It is important to understand that many women go much longer than 15 years before rupture, while a few women require earlier replacement. What Should I Do If My Breast Implant Ruptures? When a saline breast implant ruptures, it is usually due to a small crack in the outer shell of the implant developing over time. The crack develops from normal wear and tear over many years’ time. This leads a deflation of the implant, and the ruptured implant will deflate over one to three days. This causes the breast to deflate, and a shape change will occur over a day or two. For most patients it is obvious when a saline deflation occurs. Newer cohesive silicone gel implants have a different natural history for rupture. The cohesive gel filling does not leak out, and the shape of the implant is relatively form stable. When silicone implants rupture, there is no shape change, no change in sensation, and rupture is virtually asymptomatic. When these silicone implants rupture, they are said to rupture “silently.” Because of this, the FDA recommends that women undergo periodic screening for rupture of their silicone breast implants. The FDA recommends that women who have silicone breast implants undergo a surveillance MRI 3 years after surgery and every 2 years thereafter in order to detect rupture. This may or may not be covered under your health insurance plan. When rupture of either a saline or silicone breast implant occurs, Dr. Zemmel recommends replacement of both breast implants. Dr. Zemmel is an amazing plastic surgeon! My breasts look great and I had a wonderful experience–I loved going to his office and talking to him and his staff–I felt like I was around friends. Size (not being too big!) was really important to me and my results are perfect–he listened to me and gave me exactly what I wanted–THANK YOU DR. ZEMMEL! Are Breast Implants Covered Under Warranty? Dr. Zemmel performs breast augmentation using implants made by Allergan, Sientra®, and MENTOR®. 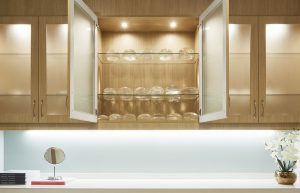 While each one has a unique warranty system, all of these breast implant manufacturers offer free replacement in the event of an implant rupture. Our team as well as the implant manufacturers are committing to doing everything possible to relieve the financial burden from you during an implant rupture. From extended implant coverage to additional financial assistance for rupture and other issues, Dr. Zemmel will help you understand what to expect with your breast implant warranty, going over the different scenarios in detail during your consultation. Please note, warranty details may vary based on the type of implant and the date of surgery. If you are eligible for replacement with Natrelle gel implants, you can choose any style or size for your new implants. *Warranty details apply to those who had their surgery on November 1, 2014 or after. Should you need to replace your implant under your Sientra warranty, you will be able to replace your second implant for free. All MENTOR implants come with free replacement for the second implant if the first needs to be replaced under warranty. MENTORPromise® Protection Plan is automatically applied when you choose MENTOR implants. For additional warranty coverage, you can enroll in the Enhanced Protection Plan within 45 days of surgery ($200 for saline implants or $300 for MemoryShape or MemoryGel implants). For more information about the Natrelle, Sientra, or MENTOR warranties, please visit the manufacturer’s websites or contact our office. Dr. Zemmel customizes each breast augmentation procedure to achieve the unique cosmetic goals of the patient. With so many breast implant options, no two procedures are exactly the same. While the price of breast implants will vary for each patient, the cost averages to about $3,718. This number is provided in the American Society of Plastic Surgeons’ 2017 statistics and does not reflect associated surgical fees or fluctuations due to geographic location. See below for a look at the many factors taken into consideration when calculating breast implant cost. In Richmond, Virginia, the average cost of breast implants is $6,000-$8,000. This range includes the costs and fees typically associated with the breast augmentation procedure, including the surgeon’s fees, operating room fees, anesthesia fees, implant costs, and possible post-operative garments. At the end of your preliminary consultation, Dr. Zemmel will provide you with the cost of your custom-tailored treatment plan. If you are comparing the cost of breast implants among multiple prospective surgeons, remember to ask the plastic surgeon what is included (or excluded) from the quote you are given. Many of our patients choose to take advantage of our plastic surgery financing options. By partnering with third-party lending companies such as Prosper™ Healthcare Lending and CareCredit®, our patients can benefit from flexible, low monthly payment plans.